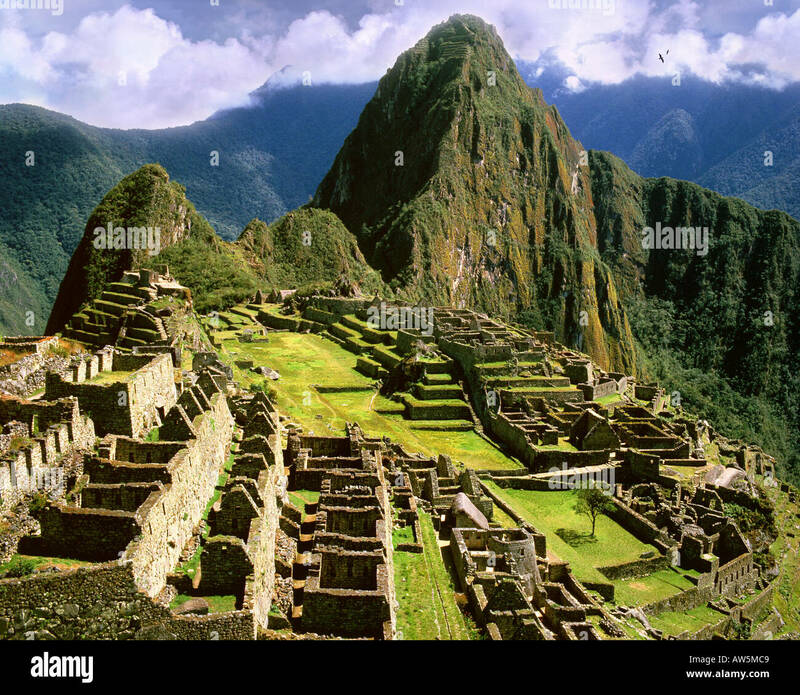 Machu Picchu is a city located high in the Andes Mountains in modern Peru. 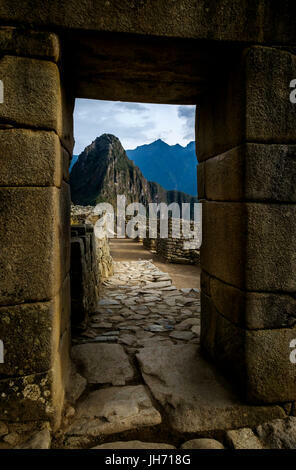 It lies 43 miles northwest of Cuzco at the top of a ridge, hiding it from the Urabamba gorge below. 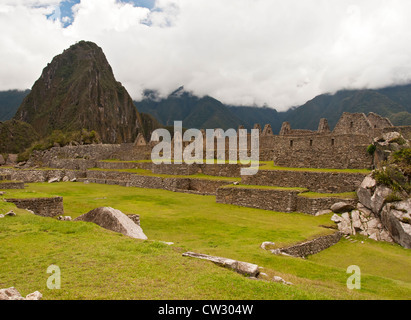 The ridge is between a block of highland and the massive Huaynac Picchu, around which the Urubamba River takes a sharp bend. 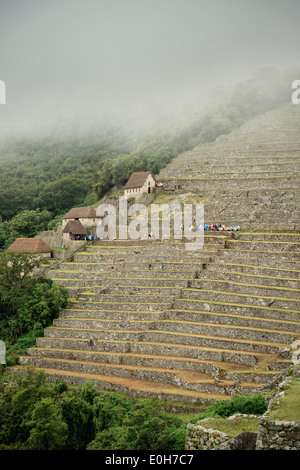 The surrounding area is covered in dense bush, some of it covering Pre-Colombian cultivation terraces.